InterSat and ABS have launched iDirect platforms on ABS-3A C- and Ku-band beams — these platforms will provide quality broadband internet across Sub-Sahara and South Africa, as well as serving French speaking African countries. With the growing demand for broadband internet services, users in Africa demand services at low entry cost including hardware and bandwidth. InterSat with ABS can now offer Software Virtual Network Operator (SVNO) access to resellers in Africa to distribute and manage internet services at affordable pricing on C and Ku-band. Resellers can control their VSAT network and manage services to their clients without the need for investment in hard­ware. InterSat will operate the services from the company's new and state-of-the-art teleport in Nairobi using ABS-3A’s pan-Africa beams. Both Ku- and C-band coverage offers excellent elevation across Africa. Hanif Kassam, the CEO of InterSat, relayed that the requirement for satellite capacity in the broadband market in Africa continues to grow and the company is now ready to start a new chapter toward accelerated growth — the company's renewed collaboration with ABS marks that new beginning. 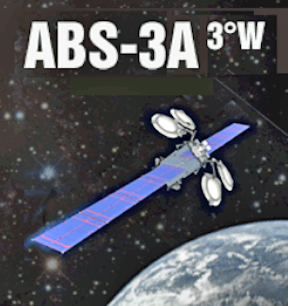 With high-quality and affordable service offerings on ABS-3A satellite, InterSat is confident customers in Africa will reap many benefits of a next generation network. Flavien Bachabi, MD of Africa for ABS, commented that ABS-3A is a new choice for high profile broadband as well as broadcast distribution in Africa, MENA, Europe and the Americas. The firm's VNO services, in cooperation with InterSat, will provide a cost-effective way for resellers and clients to establish a comprehensive communication network without the capital investment on a hub infrastructure.